Mad Em-Dashes is a St. Louis Cardinals blog by Dan Moore that does not want to waste your time. Your Pitcher Injury Fear Consultation has been prepared specially for you, the Requester, in accordance with our pitcher fear policies. The Pitcher Fear Institute's patented Six Quadrant Fear Worksheet classifies your terror along several axes; for a complete view of your fear refer to the Total Fear Index, which distills those fears into one number. Your pitcher injury fear consultation has been tuned to reflect your own fears, as recorded in the General Fear Worksheet, the Baseball Anxiety Test, and the Elbow Alphabet Projective Quiz, and as such may not correspond with tests taken at other times and by other people. Exercise caution when comparing your Pitcher Injury Fear Consultation with other Requesters. Requester presented with unlocalized concern about Adam Wainwright, a tall, amiable right-handed pitcher in the St. Louis Cardinals' rotation. Pitcher throws a 90-mph fastball; a mid-to-high-80s cutter, intermittently identified as a slider; and a mid-70s curveball. Pitcher's success is characterized by heavy reliance on breaking pitches to disguise an unspectacular fastball, with straight fastball rate falling to 40 percent in 2013-2014. Pitcher struggled to remain healthy in the minor leagues before emerging as setup man on a World Series team the Requester referred to as "very bad, a very bad World Series team." In 2008 pitcher missed ~14 starts with finger problem; on returning in 2009 pitcher became a Cy Young contender by virtue of an increased strikeout rate. Pitcher suffered elbow surgery in 2011; since returning in 2012 he has thrown 667.1 innings while ranking NR, second, and third in Cy Young voting. Pitcher was named Opening Day starter for the St. Louis Cardinals' April 5 start against the Chicago Cubs. Pitcher threw six scoreless innings, striking out six and allowing five hits. Pitcher left with a 3-0 lead and received a win for his performance. Requester expressed tentative concern with pitcher's velocity. Compulsive behavior noted in Requester around the concept of "Strand Rate"; pitcher left runners on third base in 3/6 innings. The Fear Institute's patented Six Quadrant Fear Worksheet classifies your terror along several axes; each is weighted before its aggregation in the Total Fear Index. The Requester will eventually die, as will the Requester's family and friends; existing social bonds are being weakened and pulled apart in favor of new and powerful ones we will not grasp fully until they're being pulled apart themselves. Pitcher's elbow ligaments, being matter, will tend toward disorder. There are articles about kids not liking baseball in the newspaper again. Kris Bryant is not a member of the Chicago Cubs, also. Worry Status Quadrant Score: Worries moderately founded. Pitcher has thrown 468 innings since 2013, more than any other pitcher. Such usage, however, is a sign of pitcher's durability, which is additionally related to his extreme economy—he ranks second on his own team (behind Lance Lynn) in pitches thrown during that same period, and ninth overall. While pitcher appears to be performing as well as he ever has, Requester's general caution is warranted due to age and injury history. Baseball Prospectus illustrates warranted caution with Collapse (25 percent) and Attrition (24 percent) rates indistinguishable from A.J. Pierzynski's. Worry Status Quadrant Score: Worries nonspecific to pitcher in question. Pitcher is an old pro, always ready to take the ball when his manager asks him to and just as unwilling to leave the facility while performing poorly. 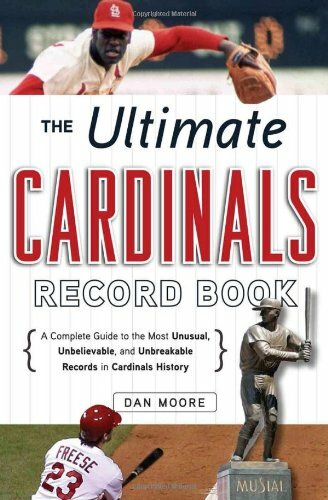 Scintillating questions emerge when pitcher's professional nature and long major league tenure are compared to the dissimilar credentials of the St. Louis Cardinals' up-and-coming rivals, the Chicago Cubs, with whom there is no love lost. Furthermore, pitcher represents an "anchor" in a National League Central division in which anything is possible, within the bounds of existing Major League Baseball traditions. Worry Status Quadrant Score: Tune in and find out, subject to national blackout restrictions. It could be that the pitcher's recurring dreams about biting down on a mouthful of loose teeth, the pain and pleasure mixing at intervals until they cannot be distinguished, if they were ever separate at all, relate to the hard-won freedom that another season of recovery from elbow surgery would represent. Pitcher's recovered memory of showing up naked with the bases loaded and nobody out in the ninth inning of a close game was traced to tenure as setup man for Very Bad World Series Team. Dream analysts determined that Requester's dreams about pitcher, but it wasn't pitcher, exactly, but Requester knew it was pitcher, in a weird way, and they were in school, but it wasn't school, were not related to current case and should be set aside. Worry Status Quadrant Score: Worries unfounded. They wouldn't have put Mike Olt in this position if they didn't respect Mike Olt's ability to deal with it, correct? Maybe that's the best way to think about it. Mike Olt used to be a very interesting prospect in his own right, and should think about that if he needs to, when things get hard. Worry Status Quadrant Score: Worries founded. Requester's nervous intuition about pitcher's velocity can be traced, according to early research results, to pitcher's extreme reliance on cut fastballs in his initial 2015 start. 48 cutters at an average velocity of 87.5 swamp a fastball that, while only used 16 times and struck 12 times without a miss, reached 93 miles per hour. Pitcher took advantage of a wide strikezone and cold conditions at Wrigley Field to keep perceived lack of "sharpness" off box score. While pitcher's reliance on the cutter (as categorized in the early research results) was extreme and bears further monitoring, it reflects trends that began concurrent with pitcher's 2013-2014 return from elbow surgery. Worry Status Quadrant Score: Worries largely unfounded. The Total Fear Index, which distills those fears reflected in The Pitcher Fear Institute's patented Six Quadrant Fear Worksheet into one number, is available as part of The Pitcher Fear Institute's FearPlus subscription-based paywall program. For more information please see your Pitcher Fear Inspector for the Pitcher Fear Institute FearPlus questions and concerns brochure. Header image by thinktk, Creative Commons.